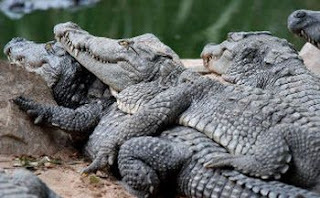 now people visiting crocodile bank can also enjoy the night safari which ll be started at the earliest. The safari ll be open between 7 p.m and 8.30 pm on saturdays and sundays. rare crocodile nests r also shown. The aldabras tortoises from the islands of seychelles will be on display very soon.